The ruling National Democratic Congress (NDC) appears to have spent over $1million of the taxpayers’ money on hounding political opponents. The money included an amount of $686,000 given to a supposed ‘Professional Group’ aligned to the NDC, contracted by the Mills/Mahama administration, to hound perceived ‘enemies’ of the government for their roles in the Ghana@50 celebrations. This was after a High Court discharged the two members of the previous New Patriotic Party (NPP) administration, Kwadwo Okyere Mpiani and Dr Charles Wereko-Brobby, on charges of willfully causing financial loss to the state, an action brought against them by the state. A letter from the desk of deputy Attorney General and Minister of Justice Ebo Barton-Odro to the Finance Ministry, is calling for the payment of the money to the shadowy NDC group. Apart from the actual contract sum which was $70,000, the group was also paid a daily allowance of $2,000, bringing payment to $686,000. The group’s membership is not known but it is believed to be made up of NDC members of which one was recently elected to stand as a parliamentary candidate for the ruling party in the Volta Region, after defeating a minister of state and incumbent MP. 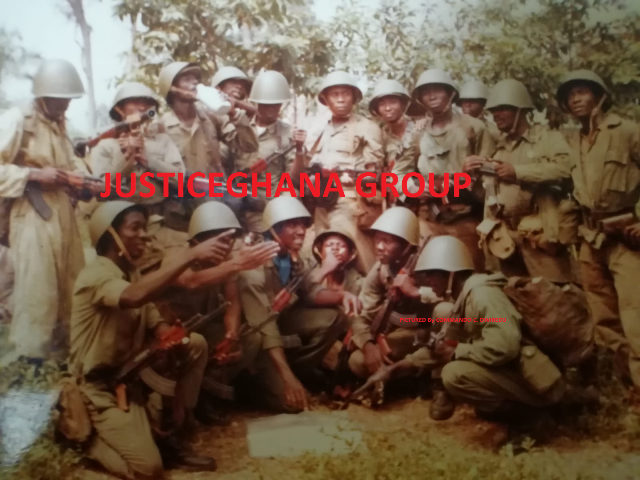 Comprising NDC lawyers assembled by the Attorney General, they were paid the sum to enable them to look for enough grounds to specifically prosecute former Chief of Staff, Kwadwo Okyere Mpiani who was Chairman of the Ghana@50 celebrations and Dr Charles Wereko-Brobby, Chief Executive Officer (CEO). It is this same ‘Professional Group’ whose dealings with the state are shrouded in secrecy that was paid a whopping $300,000 for a similar investigation into the infamous Isofoton case which also ended up in a mirage. Its advice to the state on the matter was ignored and payments effected courtesy of Samuel Okudzeto Ablakwa, a deputy Minister of Information, who lobbied for the Spanish company to get payments for alleged wrong abrogation of contracts. Before they could even submit their final report on the Isofoton case, the office of the Attorney General had issued instructions for payments to be made to the company as judgment debt.